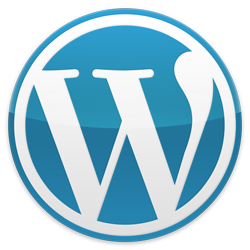 Wordpress, the top blogging platform in the world, is super easy to use. With customizable themes, an intuitive interface, and multiple tools to make your blogging better, it is no wonder so many people love it. The additional tools on Wordpress are called widgets, and there are many to choose from, but where do you start? What, in the limited space of your blog, is most important to highlight? What tools do your readers need access to so that your blog becomes a hit? Well, these five widgets should be on everyone’s short list. If your blog is connected to social media, it will take off that much faster. Make sure that your readers know what your user name is and can easily subscribe to your feed, right there on your blog. You can also customize the name and number of Twitter posts displayed. I recommend 5-10 posts, depending on the theme you choose. Also verify that your blog is connected to your Twitter account so that your followers will automatically see a Tweet every time you post something new. New readers want to know how often and regularly you write new posts. The easiest and quickest way to show that is with a calendar. When you post, the date on the calendar will turn into a highlighted link, so that readers can click and go back to whatever date they left off on. It’s easy for them and also gives you an idea of how often you really post to your blog. A widget similar to this is a milestone widget. You can have a countdown to a certain date, let’s say of a wedding, and that way your readers know at exactly what point the countdown is at all times. Keeping readers is one of the most important aspects of blog popularity. Once you’ve gotten them to your site, you want to keep them coming back. The easiest way to do this is with a like or follow button. A follow button allows writers to enter their email address; if they are not already Wordpress users that is. Facebook like buttons are also great for both popularizing your blog and allowing readers to connect their blog reading experience with their social media lives. I love text boxes! No matter what you want your readers to know, you can fit it in a text box. Personally, I added links to my alternate websites, like ones for my writing and photography, and even Tumblr. With some easy html encoding, turn the simple text into hyperlinks to easily allow readers access to your alternate sites and interests. Similar to text boxes, image boxes allow you to post a photo, let’s say of yourself, that you want prominently displayed at all times. Author boxes do the same thing, but it seems kind of odd to have a box labeled ‘authors’ when its only you! Give your readers an instant grasp on what you write about. Not only are tag clouds informative, they are also fun to look at. See what your favorite blog topics are, and how often you write about subjects. Best of all, readers can click on tags they are interested in reading your thoughts on. This Guest article was written by Mary Edwards. She can be reached at edwardsmary936 AT gmail.com.